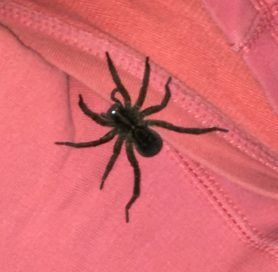 This poor guy was whacked with a laundry basket after I startled it. 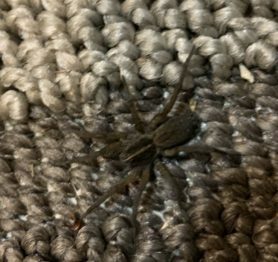 It was sitting on the carpet in my bedroom. I noticed it because it was darker than the carpet. I thought it was lint from the laundry I was doing at the time. 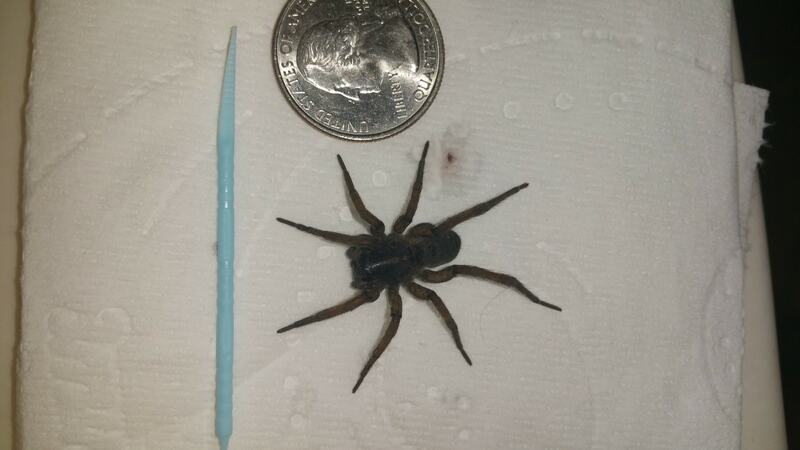 I was startled by it's size and quickness. 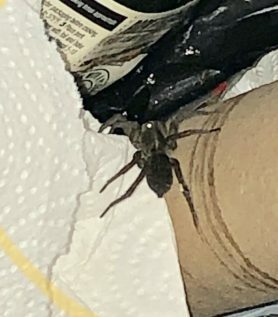 I have no idea what this spider is called. Thanks for your help. 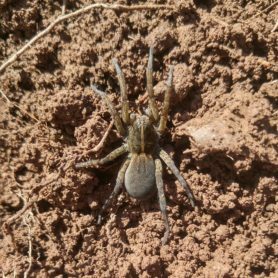 It is a Wolf Spider, in the family Lycosidae. It looks like one of the Tigrosa species.